Managers are faced with complex tasks all the time. Completing these tasks may require setting up and running a project or on other occasions it may need a short, structured action plan. A huge amount of approaches exist, in thousands of books, to help managers complete tasks. Occasionally, a manager has the time to go off and read a text on a topic like how to manage a project, but often they have an immediate requirement to do something now. 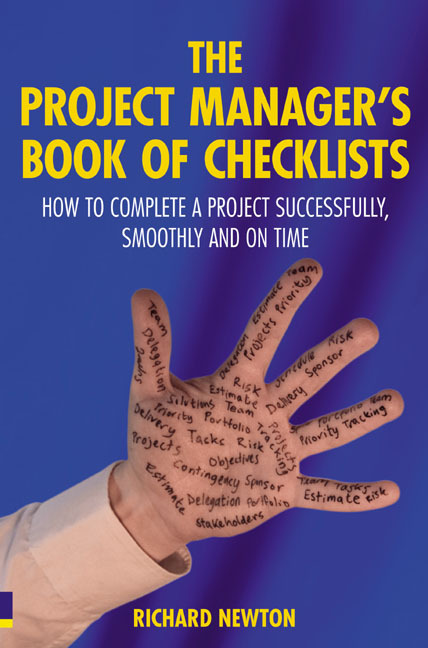 There isnt time to plough through a project management book. Usually, all that is needed is a simple list of steps, a checklist that the manager can read to kick start them into action. The core contents of this book will follow a standard project management process  starting in initial concept identification, and going through to complete implementation. At each stage there are tasks and problems that face project managers, and for each identified task or problem there will be a checklist. .. comes into the readers mind. The book will sit on a managers desk at work and be referenced regularly. It will become as much an important supporting tool as a book to read. 0.1. Which checklist do you need? 4.4 Is this a project or not? 13. Handover and change: changing an organisation a project. Richard Newton is an experienced executive who has worked both as a management consultant and a senior manager in a number of major corporations. Over the past twenty years he has built a superb track record in the successful delivery of projects and business change, the setting up and management of project and business improvement teams, and advising companies on how to ensure successful delivery on an ongoing basis. He is an advocate and successful practitioner of simple approaches to project and change management. .this is an invaluable resource and provides guidance for both novice and experienced project managers."